I just love these little frogs/toads! I re-purposed a medium sized stamp set clam shell to make this adorable treat box. Just a reminder, January 31st is the last day for the Frogs and Kisses sale promotion (see previous post HERE). 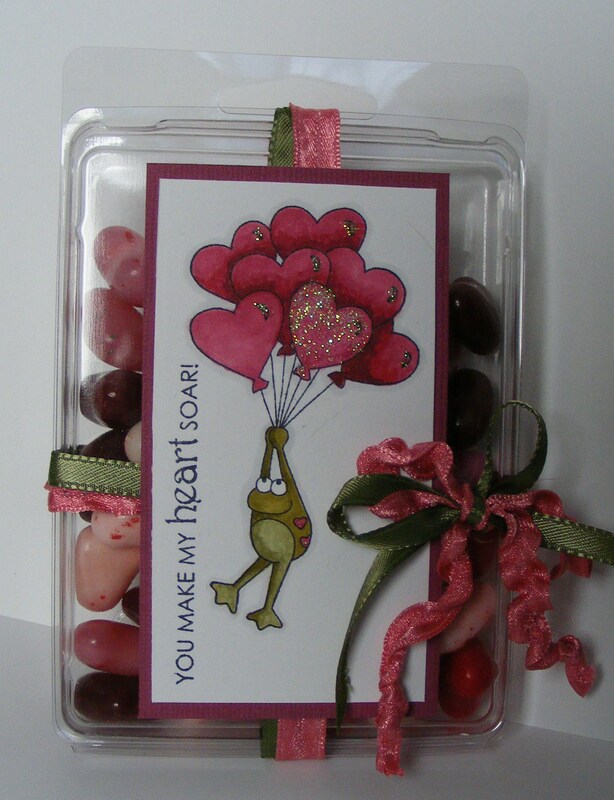 This entry was posted in Rubber Stamped Items, Treat Bags and Boxes and tagged Friendship, Frogs, Heart, Love, Toads, Valentine's Day. Bookmark the permalink.